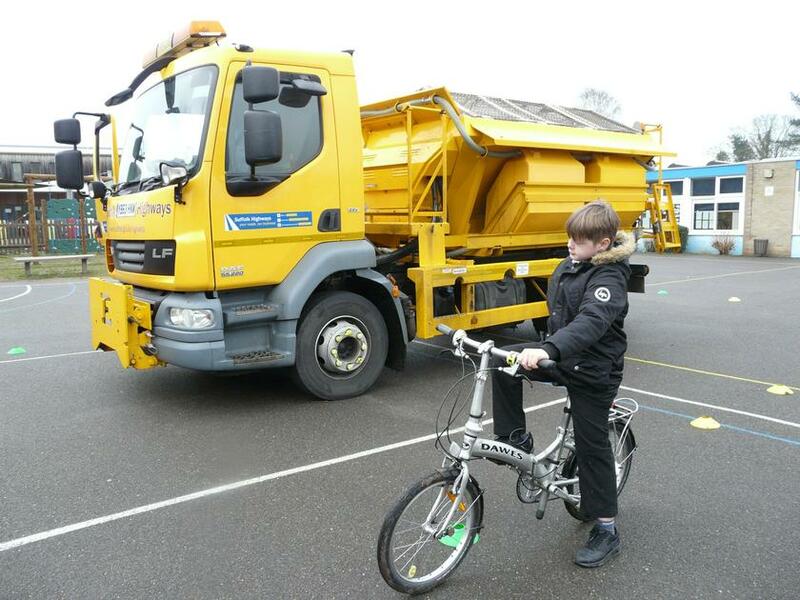 Our Junior Road Safety Officers organised for a gritter lorry to come to school this week, the children were then shown that they can't easily be seen on cycles if they are not careful around large vehicles. A valuable lesson for all! Thanks to the team on the lorry for coming along.